We played now Spittelwitz. We did'nt recorded all turns. Now I would recommend to give the scenario a limit of turns. My daughter rolled for the Generals and did very well. A interesting result. 1. Brig. 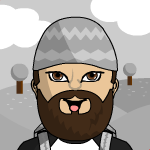 - Traun (Dash. ): 3 Btl., 1 leichte Bat. 2. Brig. - Damnitz (Dep. ): 1 Btl., 1 mittlere Bat. 1er brig. La Marine - Comte de Loewendahl (Dash. ): 3 btl. (1 Marine, 2 Artois), 1 bat. 8pfdr., 1 bat. 4pfdr. 2e brig. Navarre - Hérouville (Dep. ): 2 btl., 1 bat. 8pfdr. 3e brig. Irlandais - Lutteaux (Dep. ): 2 btl., 1 bat. 4 pfdr. I had some problems with Terrain because I don't have enough of river and roads. The Spittelberg is too small. But we didn't complained. It was too late to change the hill after placing the unit on the heights. I advanced with every unit fit to move. Unfortunately Lutteaux refused again like in our Fontenoy game for several turns. 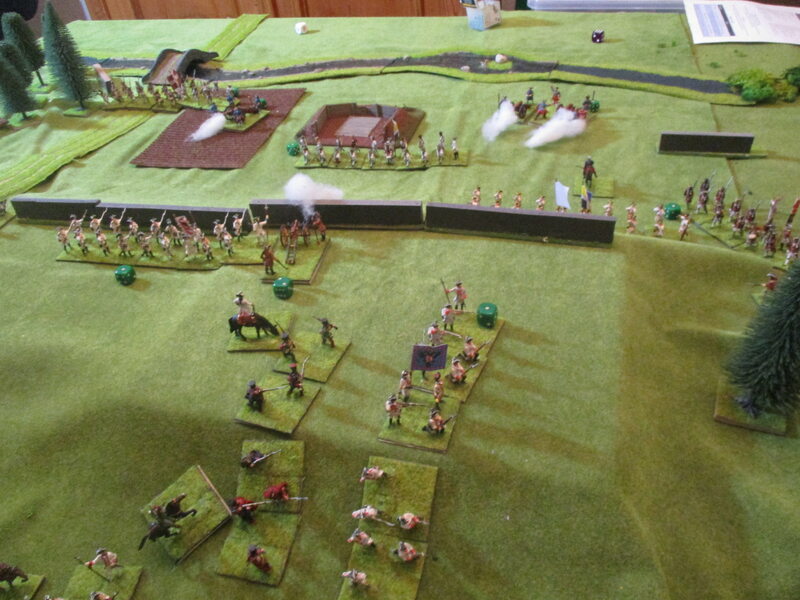 But my French had some success in pressing the Austrian outposts back. 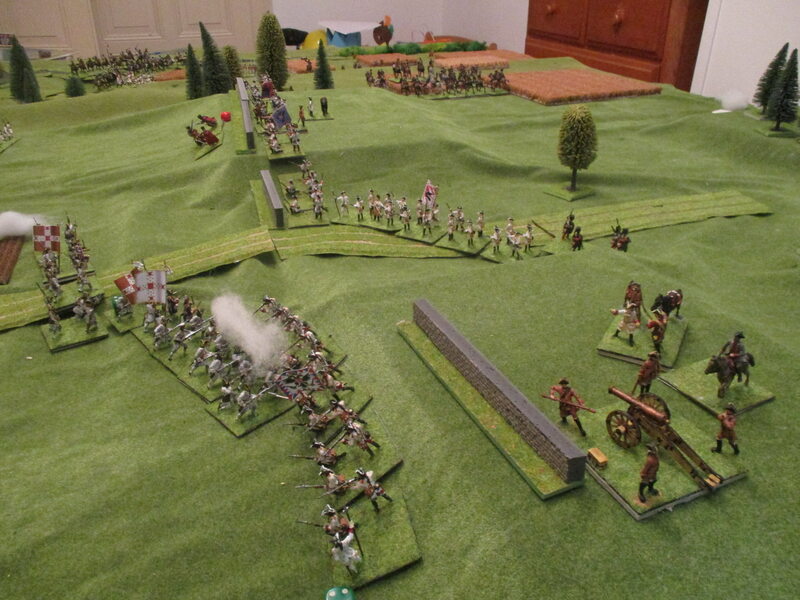 Their right troops feared the outnumbering Navarre-Brigade and did not more than shooting without any effect. Only the redoubt in the middle was held after the first shots. Loewendahl did very well although his artillery didn't hit any target. 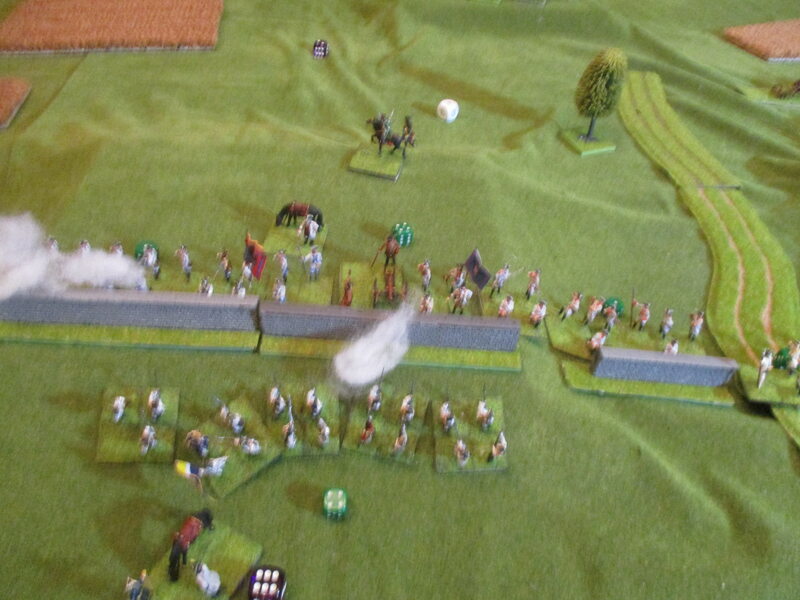 I decided to ignore the Grenadiers in Spittelwitz and cross the river with the irish at the right and with the cavalry at the left. It was clearly no option for the grenadiers to stay where they were. 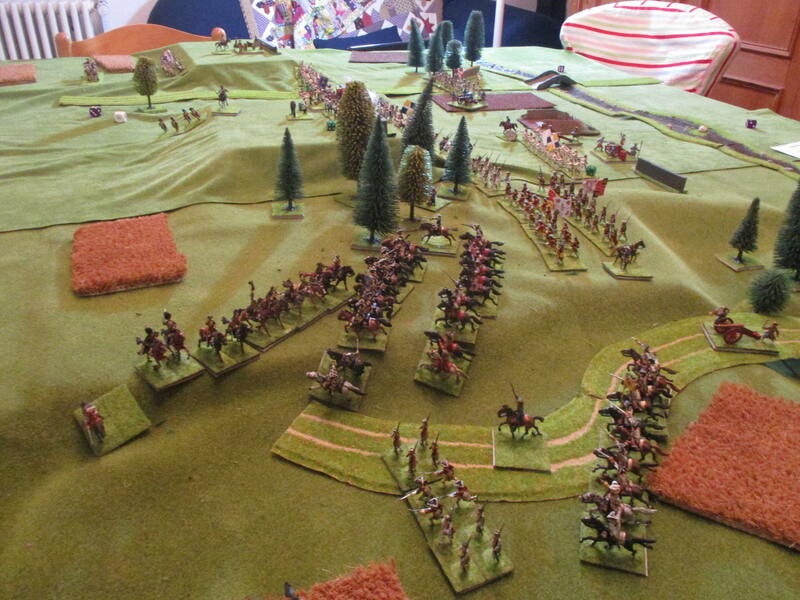 Unfortunately Broglies flanking force was advancing very slowly because he perhaps admired the countryside. Don't know. 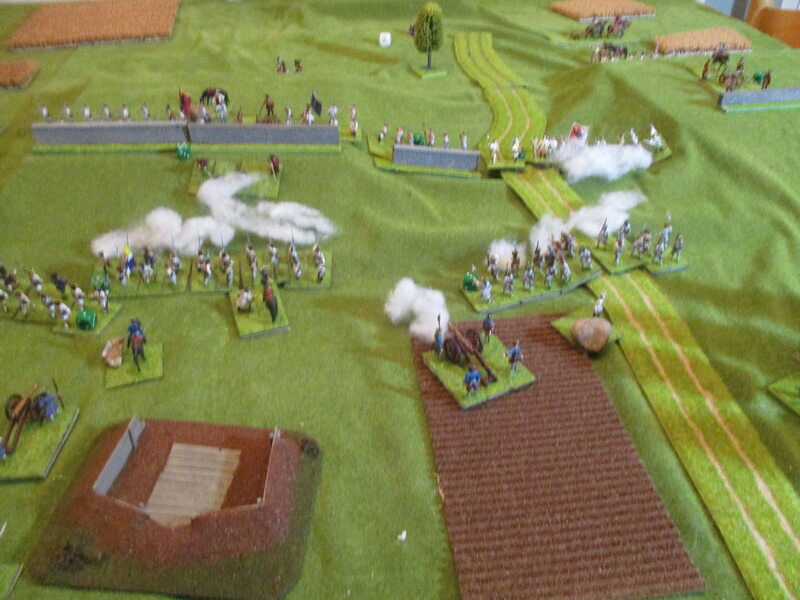 Both batallions of the Regiment Artois attacked the redoubt and the light infantry had to fall back. and stormed down the hill. The fighting was short and brutal and I lost my first batallion. Now I had to regroup and think in a new way. 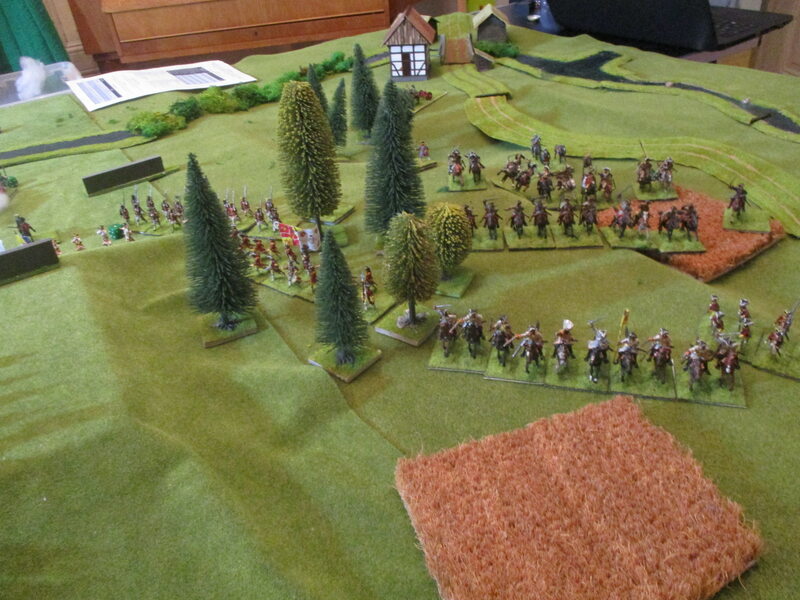 The Austrian batallion had to retreat, but could do so without haste. I had no infantry to send in. were attacked by Clermonts angry horse. The cuirassiers du Roi did very well. Our frontal assault went not so good. A troop of Austrian croats who rallied in front of the entrenchements were shot down. But there our luck ended. Khevenhüller had send all of Traun's batallions in one line to repulse every of my attemps. I decided that without the help of their comrades the 2nd bn. 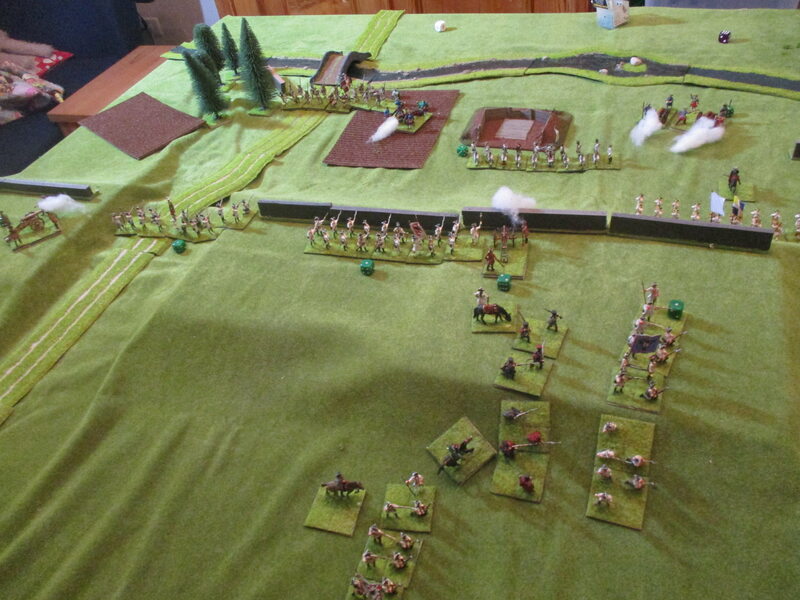 of Navarre had no chance in a frontal assault. That left all the work to 2 bn.s under Loewendahl who most likely knew that it was madness. The bn. of the La Marine-Regiment was shot heaviely from the hill and by the flank, where Trenck had positioned some of his lads in a small wood. when they reached the wall and the duc de Grammont was mortaly wounded. 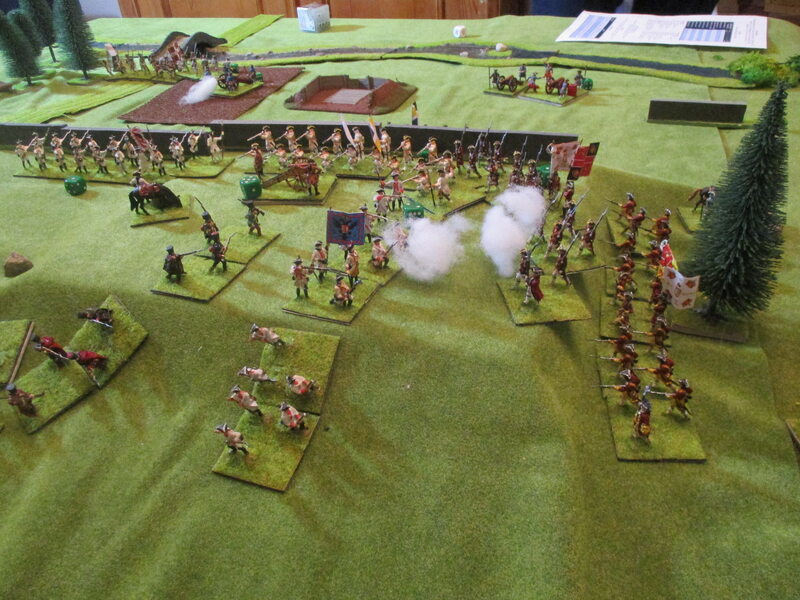 Nadàsdy had ordered his Brigade of dragoons to deal with my flanking assault. To try to catch the compaganies Franches with Bathyany-dragoons was really fruitless. I now had all my cavalry ready to send in. 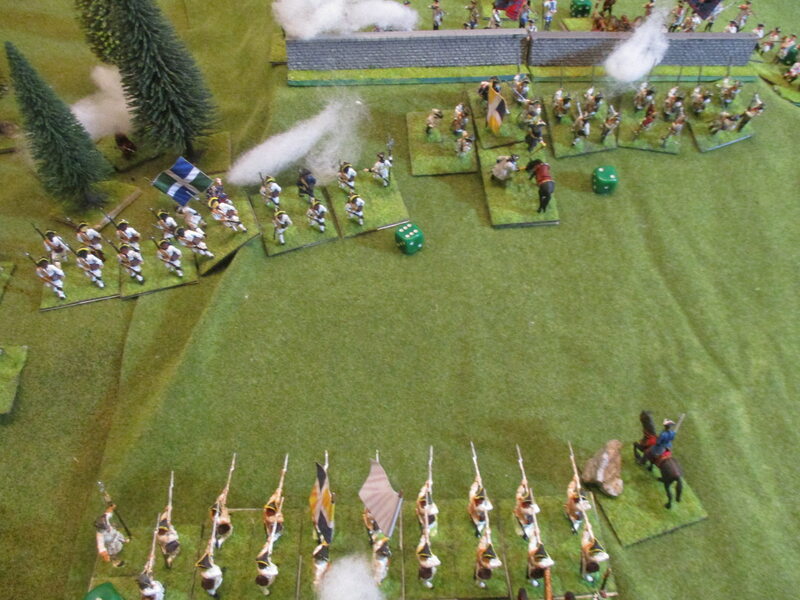 The cuirassiers charged the dragoons and performed well, but due to bad morale fall back. 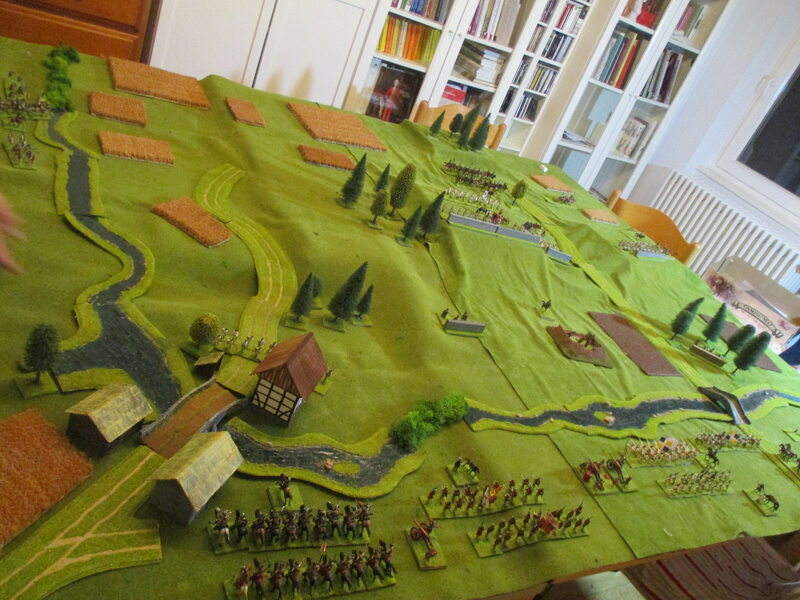 Next I got the Chance to send in the mestre de camp cavalerie and they cut down the poor regiment de Ligne. 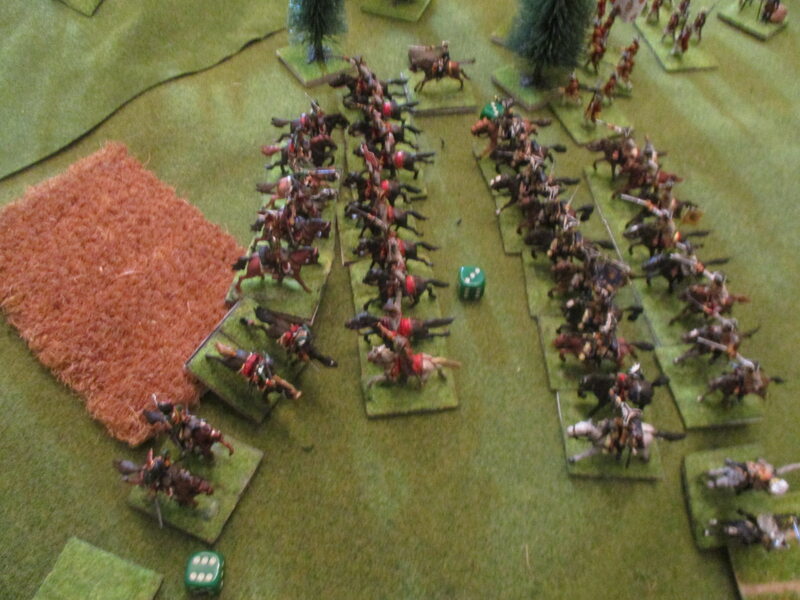 The second Austrian cavalry unit did not really better as it was in a bad position. 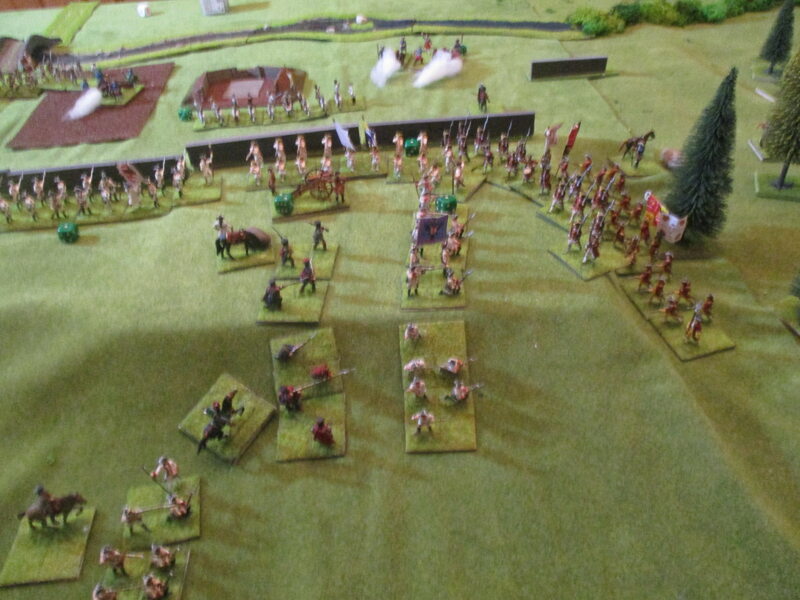 Broglies grenadiers and Compagnies Franches pushed them back. Now we run out of time and had to clean the room. I think that we will continue perhaps next weekend. 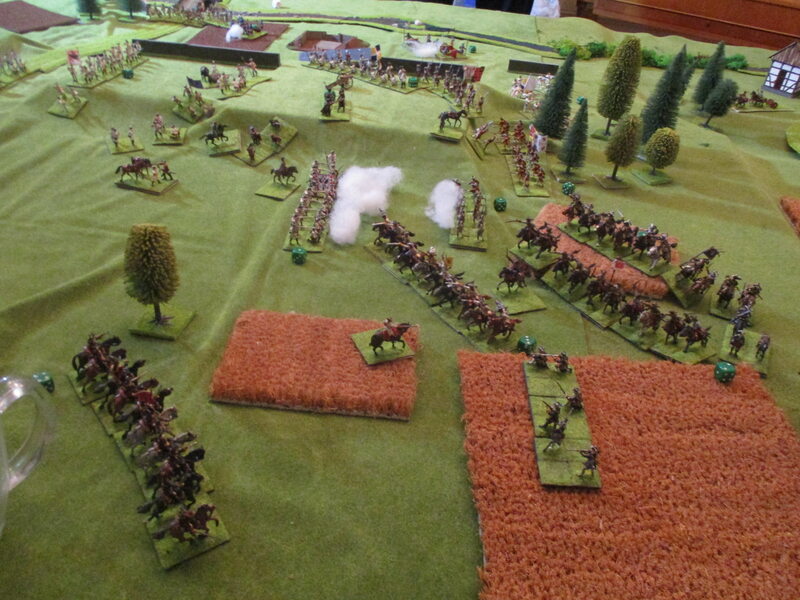 The Austrians clearly send Damnitz' infantry and Trenck's light infantry to face the flanking thread. Maybe that will help. Finaly we managed to finish the game yesterday. While Khevenhüller still was in command, you may remember that the duc de Grammont was shot in front of the Austrian entrenchements. We decided to play 3 turns. To my releave Lutteaux irish advanced but very slowly because some of them had to pass a small wood. Traun moved one of his bn.s to deal with this thread. The French, although without a CinC decided to use the situation. Most of the last bn.s of infantry were hold back. But 1st bn. Artois advanced. 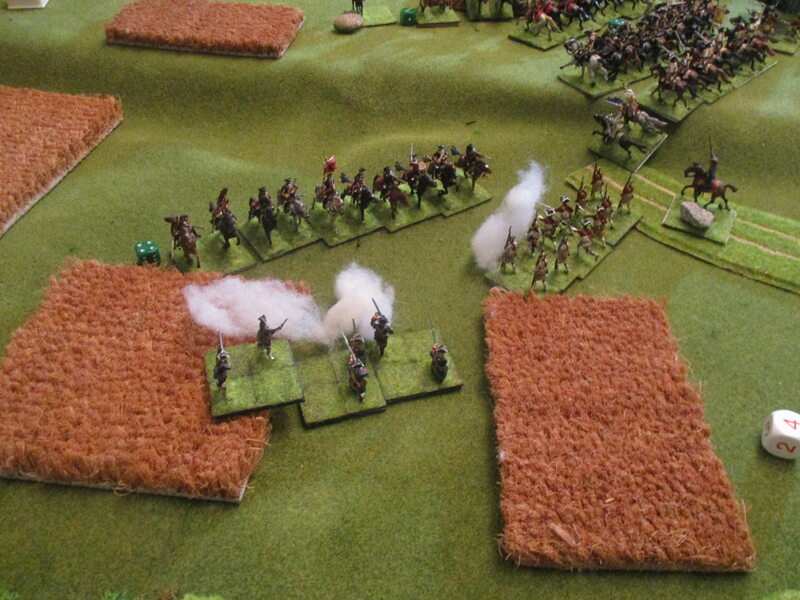 Khevenhüller did a small mistake swinging around the light artillery to shoot into Lutteaux' Irish. At this moment Loewendahl used his chance and ordered an assault. The crew of the 3-pdr. had no chance and were forced to leave the field. 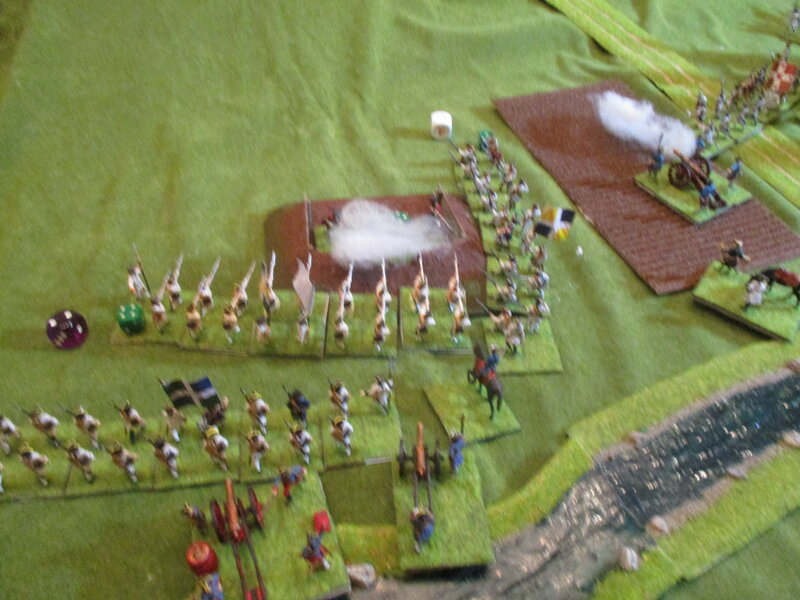 The Austrian infantry shot inefficiently into the regiment Dillon which made his way on the top of the Spittelberg. Now the maréchal de Belle-Isle arrived as a replacement for Grammont. Time was running away. However my French tried a all out charge - charging into the front of the regiment Bayreuth with the fresh regiment Clare, while the 1st bn. Artois wanted to outflank the regiment Arenberg - but without success. The Austrians were not idle. 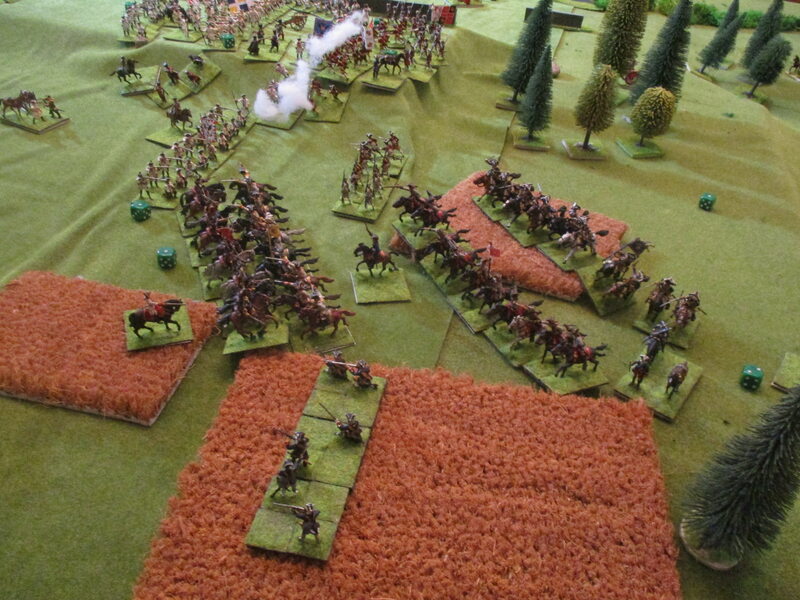 Nadàsdy ordered his remaining dragoons to charge the French Clermont-Tonerre cavalry. Belle-Isle stood near to see everything. 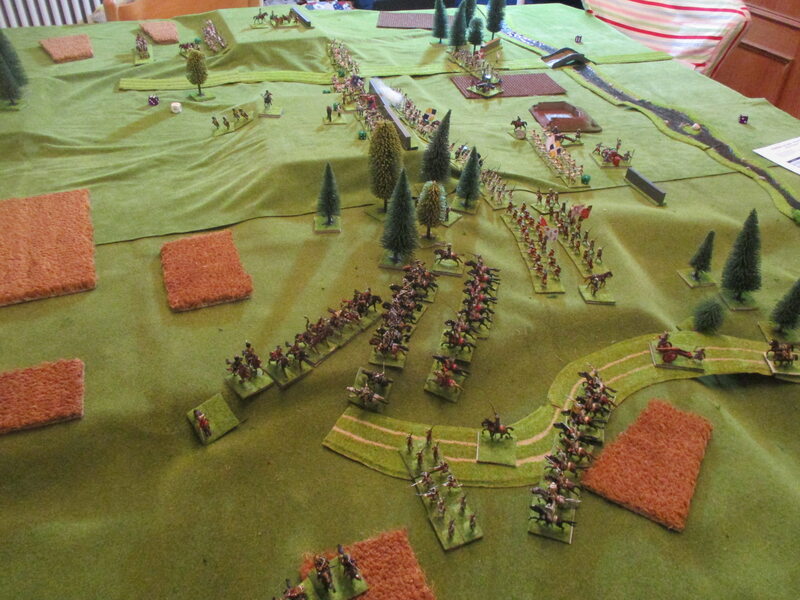 For the first time Broglie got his grenadiers into position to shoot into Austrian ranks but without any effect. But the bloody fighting at the Spittelberg was different. The first bn. 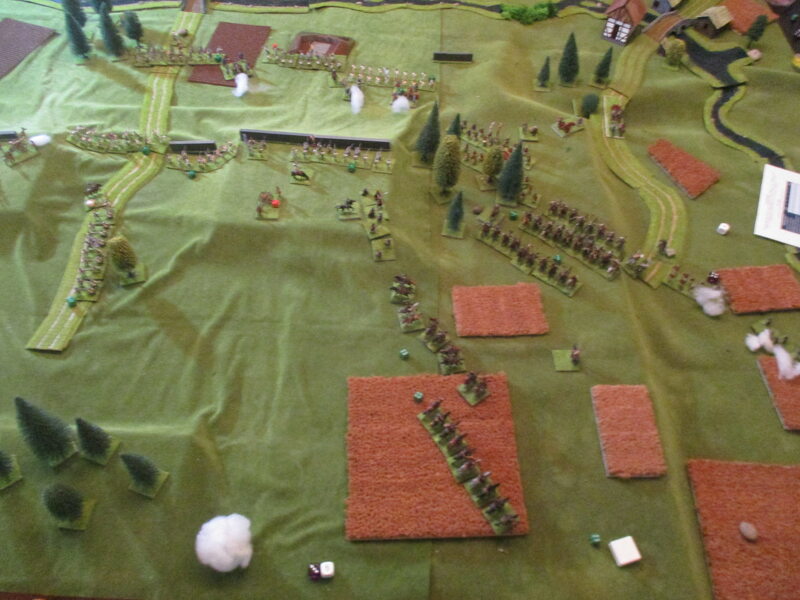 Artois was defeated, but the opponents were forced to retreat and the unit behind the regiment Arenberg had to retreat too. 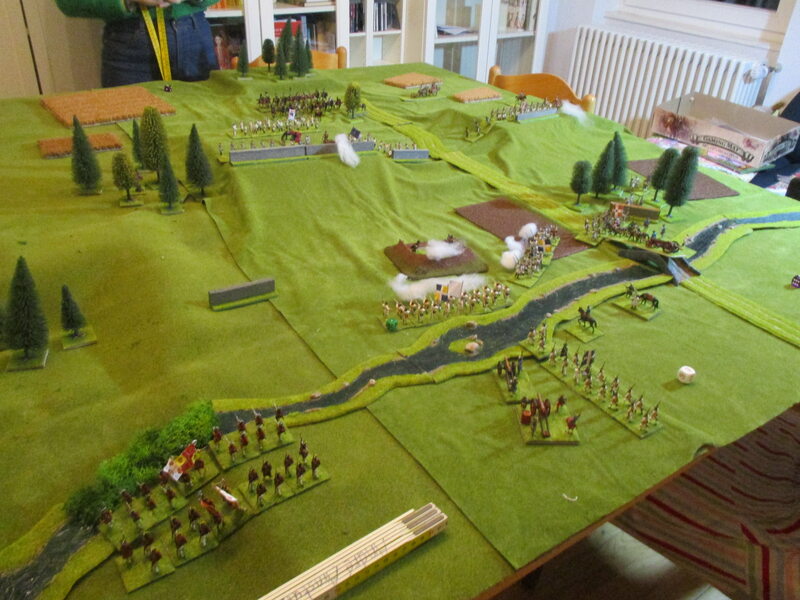 But the Regiment Clare was even more successfull defeating the Regiment Bayreuth, although Clare had to retreat too. The cavalryclash was short. 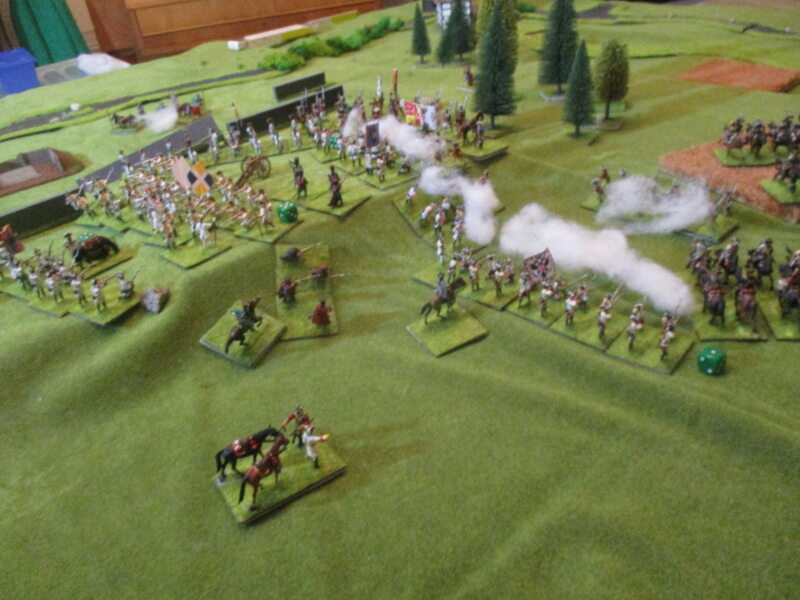 The Austrian dragoons lost and had to fall back. They achieved their goal. 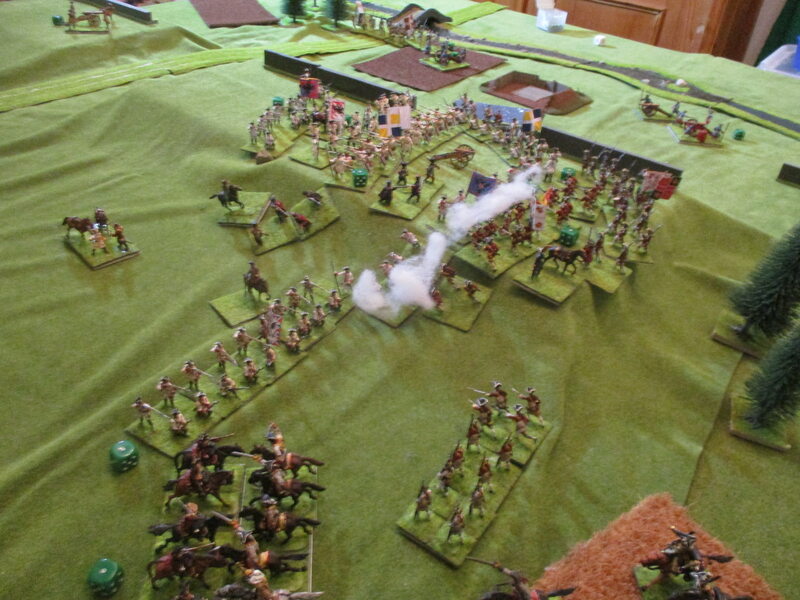 I had no chance to attack into the flank of Damnitz' batallion with my units of horse. It was a very interesting battle. Sometimes I thought that I would never get a foot on the Spittelberg. All depends on the behaviour of the 3rd (irish) brigade. 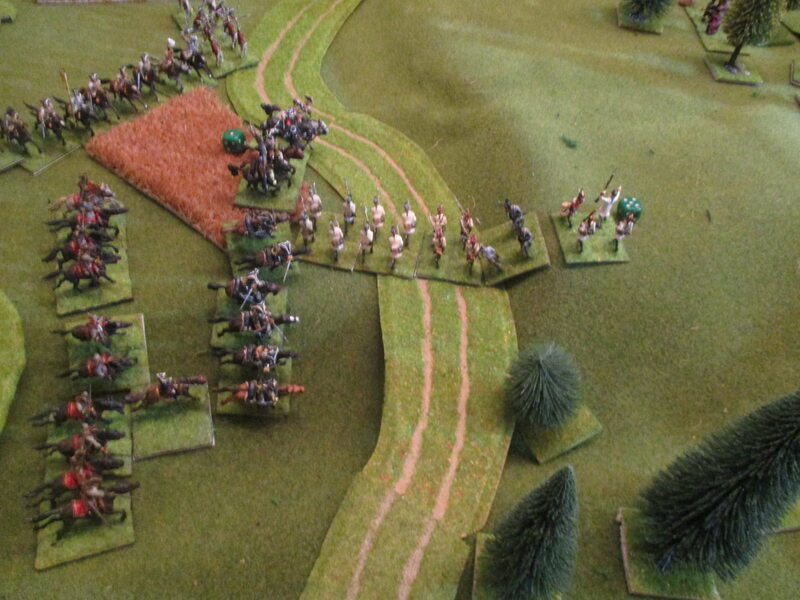 But the corps under Broglie was slowly too and missed to push the dragoons back soon enough. We declared it a draw. 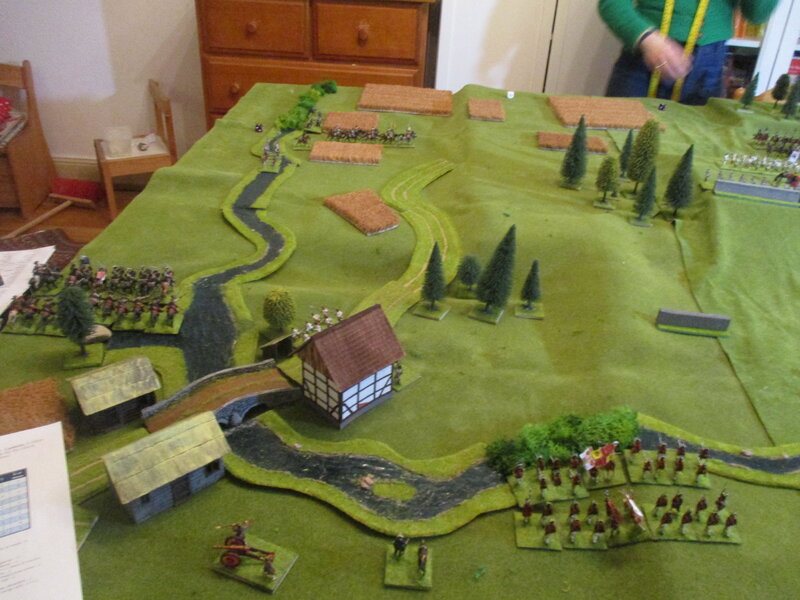 The Austrians hold the hill for 8 turns. At the final turn they still had some intact light infantry, however most batallions were done fore or had to fall back to rally. They still had 2,5 Points including the Spittelberg and my French had 5 points left. Excellent report and another great looking game.